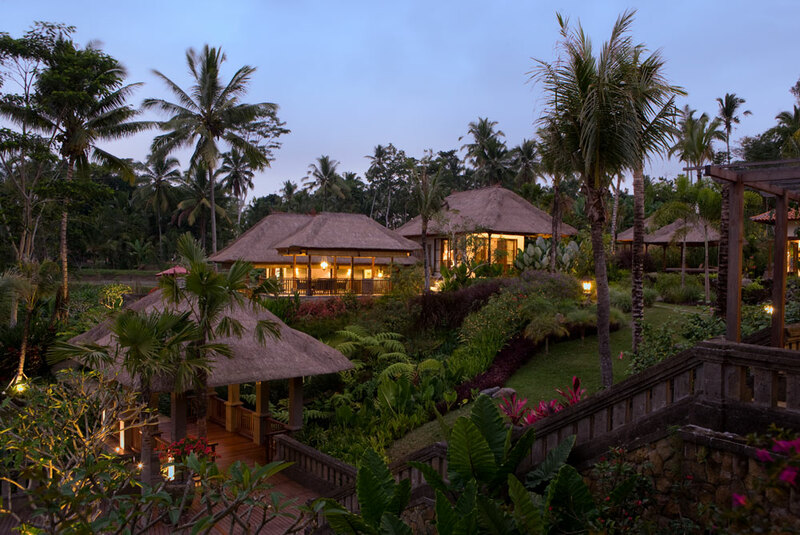 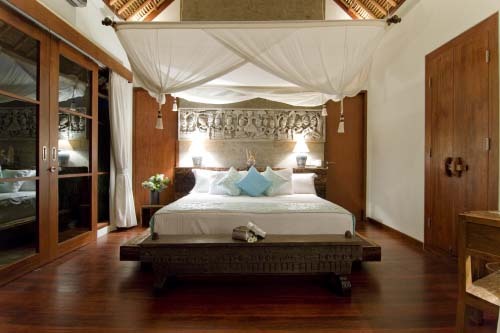 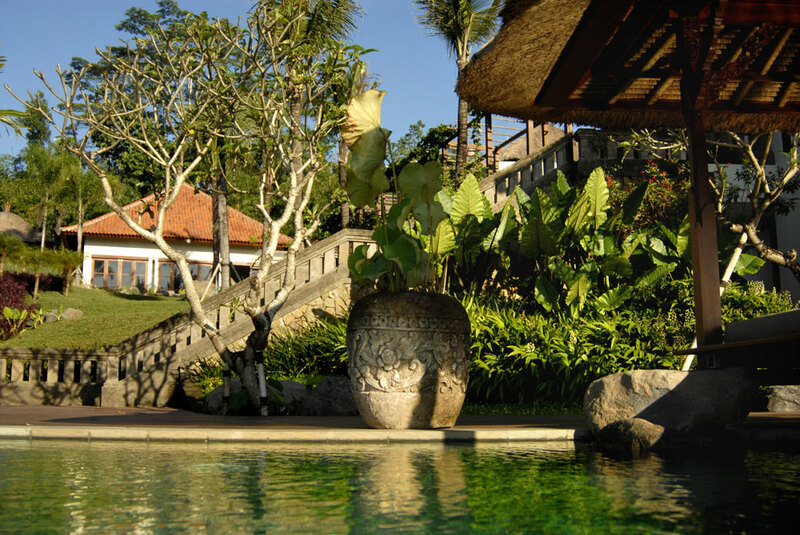 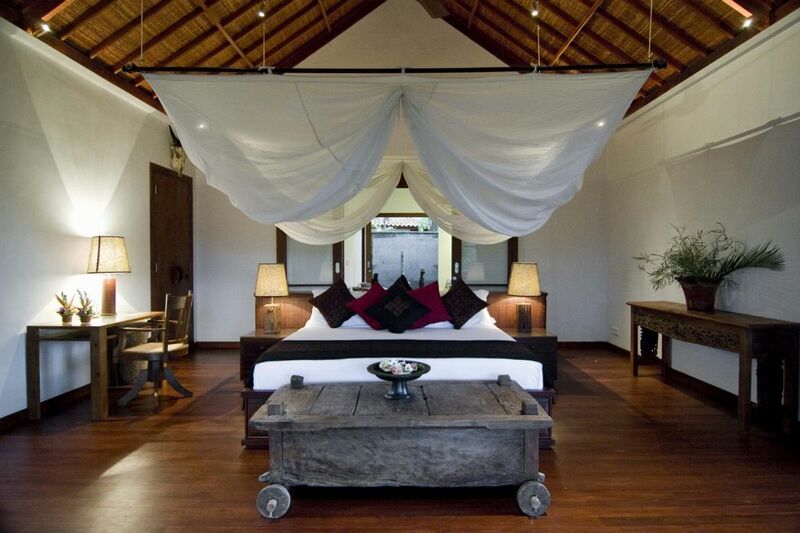 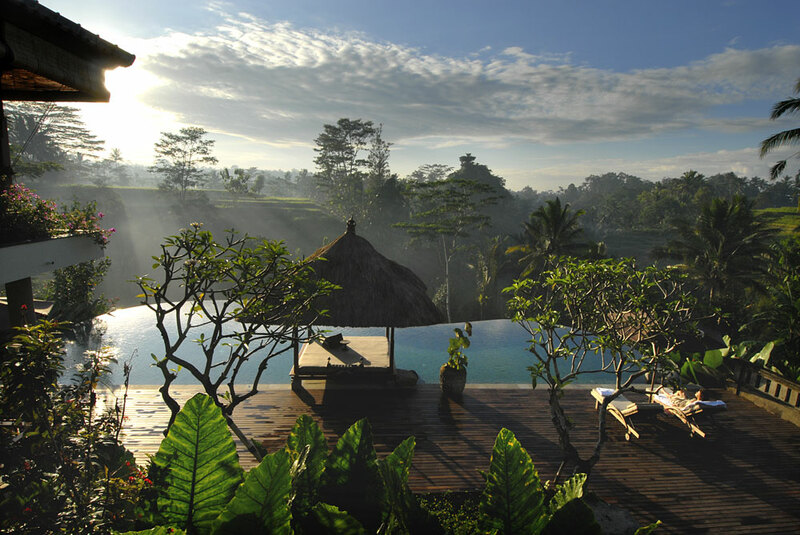 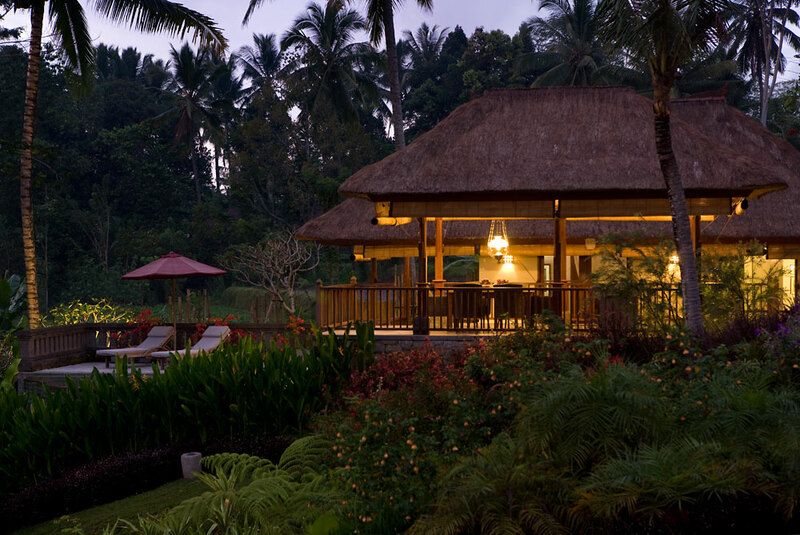 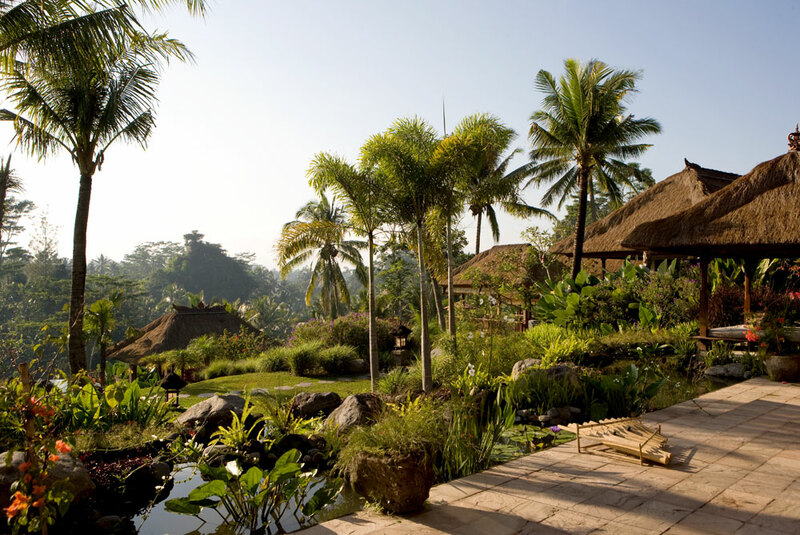 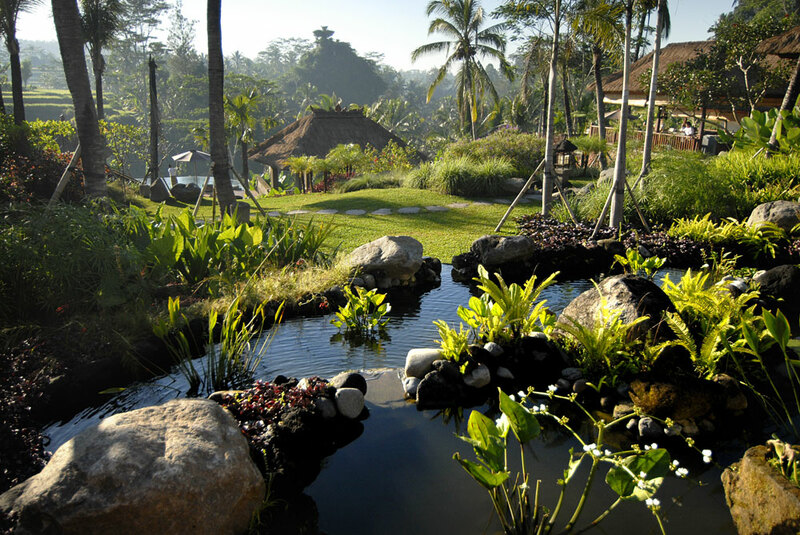 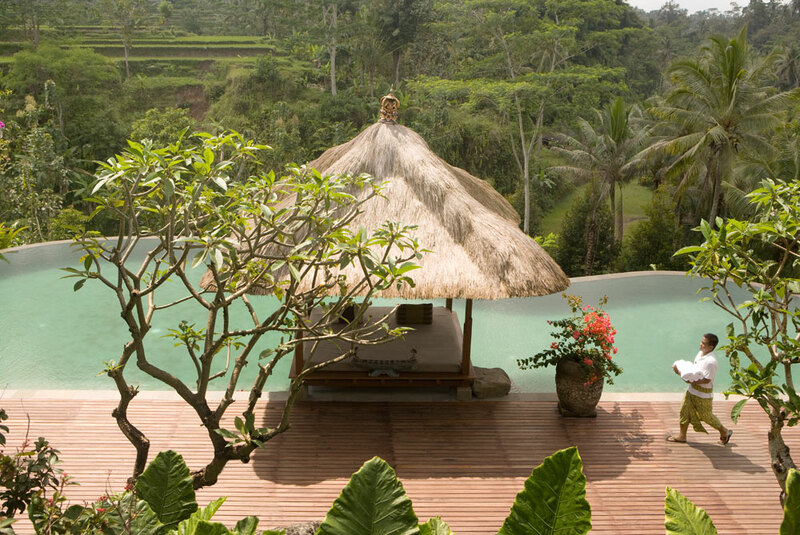 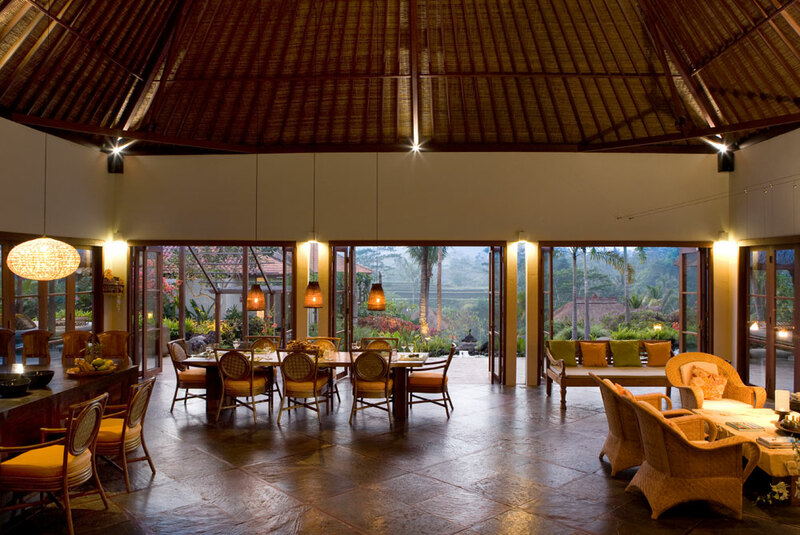 Located fifteen minutes north of Ubud, in the middle of lush green ricepaddies, with a magnificent view of Bali’s Mount Agung, this 4 bedroom villa is ideal to enjoy Bali. 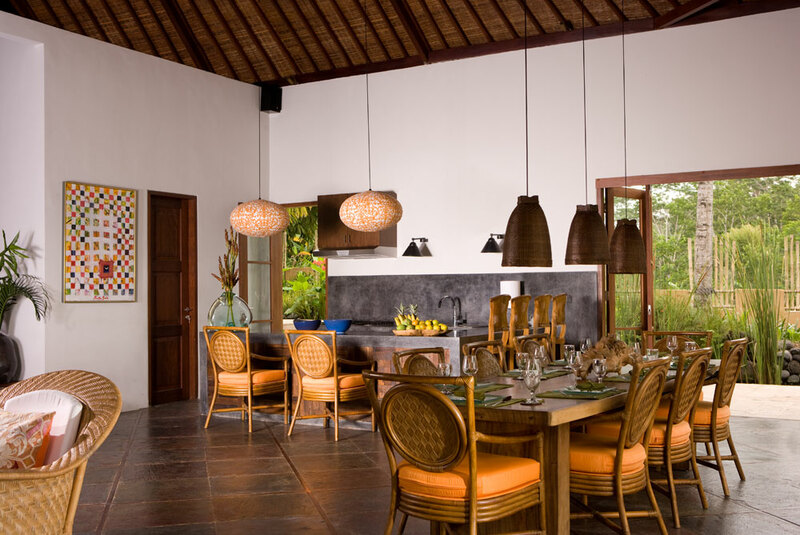 This spacious, luxurious 4 bedroom villa, has been designed by Popo Danes, one of the most reknowned architects in Southeast Asia. 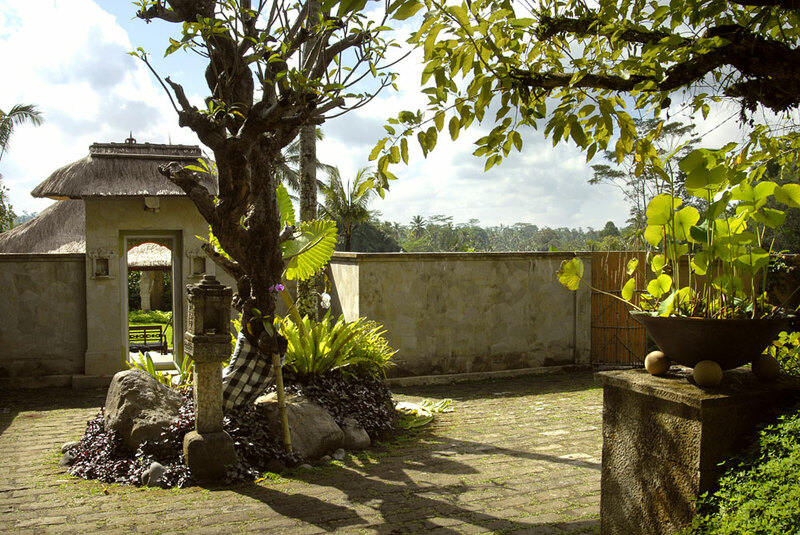 The traditionally villa has 4 bedrooms, each being in separate houses beside the main house, connected by flower-covered pergolas. 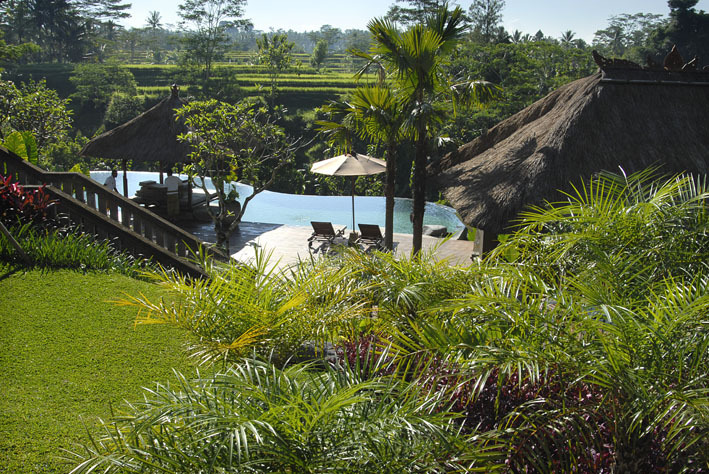 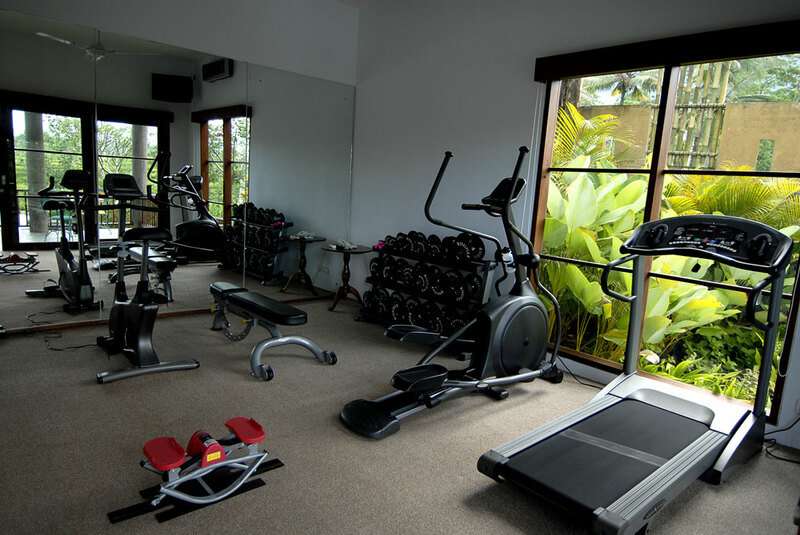 From every room there is a beautiful view across the surrounding rice terasses .